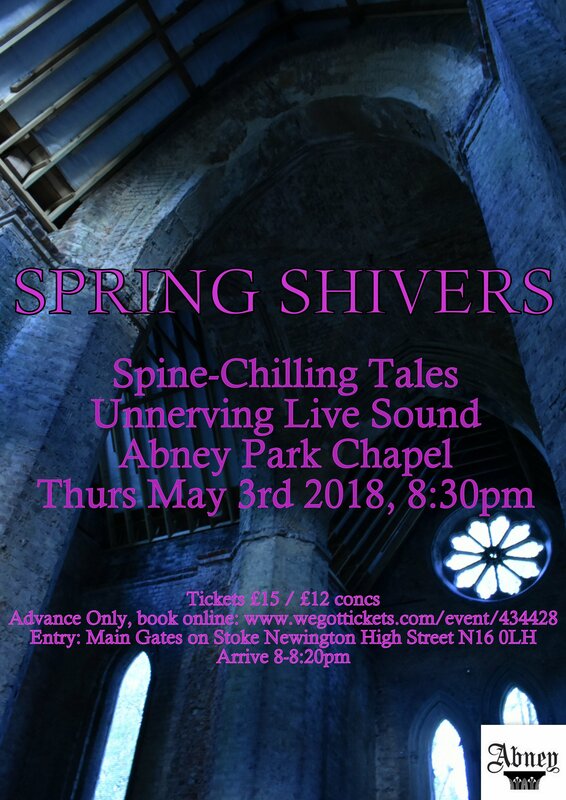 Join us for an evening of readings of three classic spine-chilling stories accompanied by unnerving live sound, in the exquisitely atmospheric surroundings of Abney Park Chapel. CHRIS BROSNAHAN: Thriller-writer, occasional comedian and film-maker. LAURA SAMPSON: Singer, songwriter and storyteller. MARTIN VISHNICK: Guitarist, composer and researcher. SAM ENTHOVEN; Plays a unique instrument from the dawn of electronic music – the theremin. Please arrive between 8 to 8.20pm at the main gates on Stoke Newington High St.